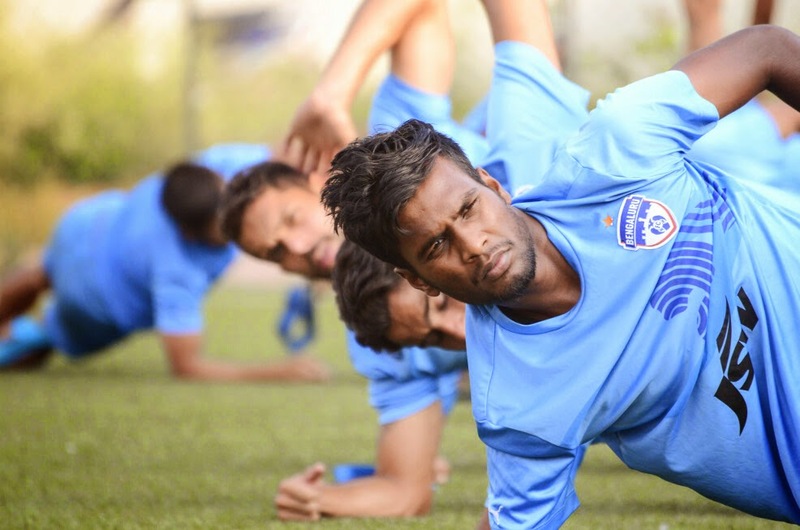 After a 6-0 drubbing in their last match against Shillong Lajong FC at home, Mumbai FC meet host Bengaluru FC at the Kanteerava Stadium tomorrow. Bengaluru, missing three full points against Royal Wahingdoh at home are keen to restore winning ways. Would the big-margin loss help Bengaluru to rattle his opponent? Asked about the expectation from tomorrow’s game considering the gap getting wider on the top with Mohun Bagan literally on a rampage. Gaffer Ashley’s reply was apparent, “We play every game and we try to win it, this would be no different!” He added, “We need to concentrate on ourselves, we are capable of winning the remaining eight games. We’ll be over there at the top. We need to keep going and see where it takes us. With I-League coming at Cooperage Stadium, Mumbai after many season, Mumbai FC have been a consistent team at home. The much improved Mumbai outfit held Bengaluru 1-1 at home thanks to some outstanding keeping from Nidhin Lal. Coming out from a bad game, Mumbai FC must need motivation. Coach Khalid Jamil has been a worried man with a big challenge ahead to keep the morale of the team high. Another worry for the visitors is in Japanese mid-fielder Taisuke Matsugae - injured and a doubtful starter for tomorrow's match.